Press Set Gem, Not glued. Class 1:316L Surgical Implant Stainless Steel. Type: Body Piercing Jewelry. 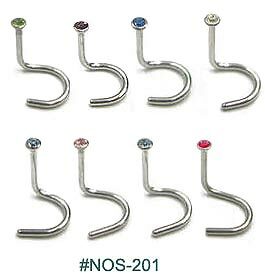 316L is the Industry Standard Metal for all Initial Body Piercings. Warning: Keep out of reach of children. Contains small parts. If swallowed or if irritation or a rash lasts contact your health care provider.